Matrix Chambers, led by Cherie Booth (Blair), acquired a three story former police station in Clerkenwell as their new offices. 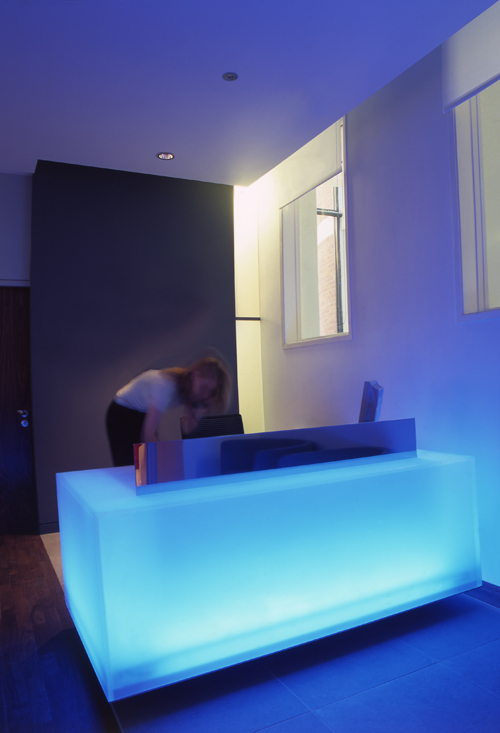 As the first Chambers specializing in Human Rights following the implementation of new government legislation, Matrix were keen to portray themselves as a contemporary firm of lawyers with an interior that would not alienate any of their clients. Each Barristers room was tailored to individual preferences and requirements. A choice of propriety desk, chair and shelving system, with a range of interior finishes and components, was formulated to create a suite of rooms that avoided a branded uniformity. Less a singular body than a collective of individuals. Administration areas, a library, meeting and seminar spaces were also provided, giving Barristers a variety of spaces to work. All of the spaces were modern and understated, well appointed without being opulent. To maximise light and give an extended sense of space new ceilings stopped short of the perimeter walls to incorporated light troughs and all new walls were punctuated with partially sandblasted vertical glass fins. 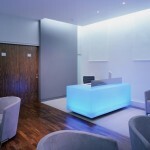 Special care was taken to ensure that the high level of visual and acoustic opacity was provided. 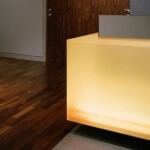 The focal point was the reception area, with its book-matched walnut veneered doors and limestone / walnut floor. 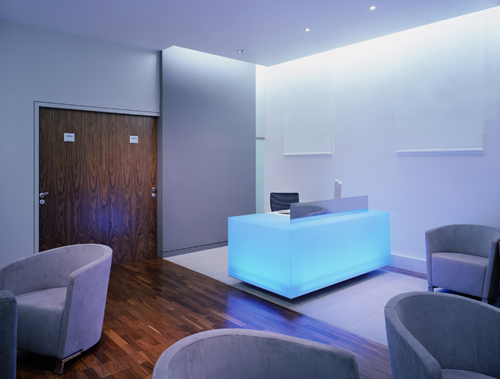 The space is animated by a purpose-designed, sandblasted polycarbonate reception desk with integrated cold-cathode lighting, quietly changing colour through cycles of blues, pinks and greens. 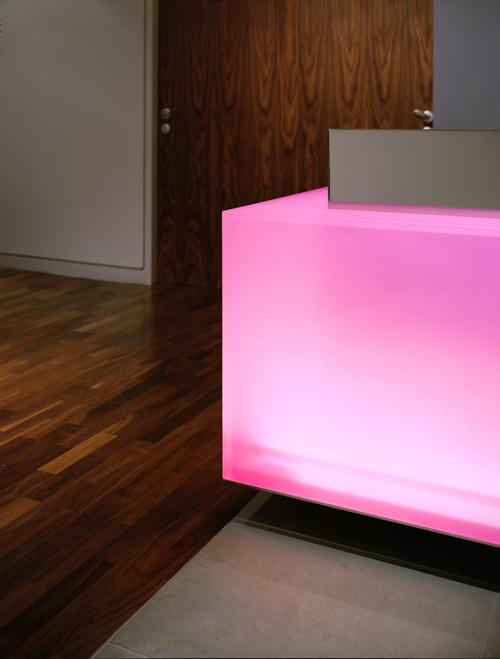 At a point in the colour cycle the desk glows bright magenta, a reference to the colour of the traditional lawyers ribbon used to bind their case notes. The result is a dignified yet unexpected space, a contemporary interior reflecting the birth of groundbreaking legislation.